The holi-daze break is over and now it’s time to get back to business. And first on the agenda is the Tax Cuts and Jobs Act that seems like was passed long ago. In my last letter, I promised that I would break it down and show you exactly what it means for you in 2018. For all the drama and hoopla over the passage of this bill, no one is getting rich over this tax break. The big picture math shows that it will reduce income taxes by $1.2 trillion dollars over ten years. With 250 million tax filers in the US, that equates to $480 per tax filer per year for the next ten years. Sounds much less exciting now, huh? Drilling down a little deeper, let’s see what it means for homeowners and real estate investors like you. 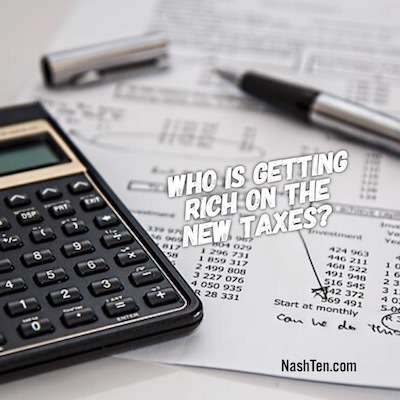 Besides the slight changes to the tax brackets, these four changes will likely affect you the most. Exclusion of capital gains tax on the sale of a personal residence. The original bill attempted to change the time required to live in a home from two to five years to claim this tax exemption. This change would have been disastrous to the overall market and slowed down purchases for both homeowners and small investors. The new law requires that you live in the home two out of the last five years to take the exclusion. Keeping the mortgage interest deduction for primary and secondary homes. The original bill attempted to eliminate this deduction completely. While they did cap the deduction and limit it to mortgages below $750,000, keeping the mortgage interest and property tax deduction is key to promoting homeownership. Starting in 2018, you can deduct a maximum of $10,000 in interest and property taxes. This could be good for Nashville by driving more highly compensated folks to move to places where property taxes are low. An increase of the standard deduction to $12,000 for single filers and $24,000 for joint returns. While many applaud this deduction, it will mean that most won’t qualify to itemize and take advantage of the mortgage interest deduction. In essence, it means that there is no longer a tax incentive to own a home for 90% of Americans. This means that more people will continue to rent instead of owning a home, especially when combined with #4. The repeal of the personal exemption. Previously, you could take a $4,150 deduction for every dependent in your household in addition to the standard deduction. This has been repealed in the new law and greatly reduces the impact of the increase in the standard deduction. For real estate investors and others with pass-through income, these three changes in the final law will have a more positive effect on your tax bill. The new law provides a 20% deduction for business taxable income below $157,500 for single filers and $315,000 for joint filers. Above this level of income, the deduction is phased out especially for those in personal service businesses. 1031 Like-Kind Tax exchanges for real property will still be allowed going forward. The original bill removed this rule completely, however, it was put back in place for real property only. The original bill attempted to subject rental income to self-employment taxes. This could have been disastrous to small real estate investors. Thankfully it was removed from the final bill before passage. 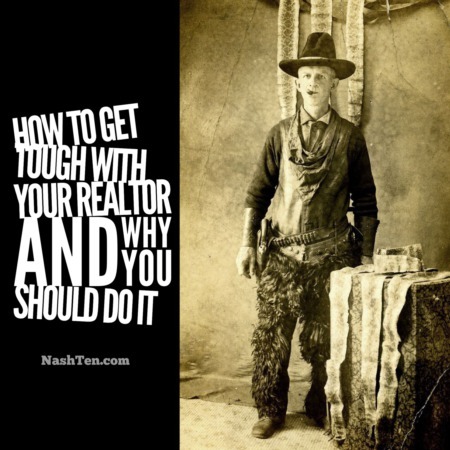 The National Association of Realtors has fought long and hard for these changes. They mobilized their 1.2 million members to advocate for you. While they did not get everything they wanted, their efforts took a bad tax bill and made it better for most Americans. This is why I support and give my time freely to this organization. With all of these changes, the National Association of Realtors reduced their price appreciation outlook for the nation to 1-3% in 2018. And in areas that have high costs and taxes, they predict some prices to decline. 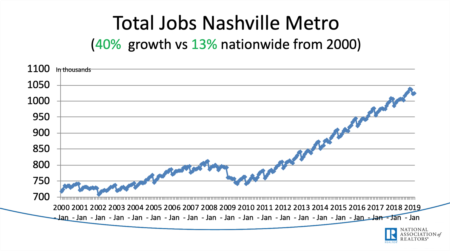 Prior to the new tax law, I predicted price appreciation for Nashville to be in the 6 - 8% range for 2018. This is down from the 10% average that we’ve experienced over the last two years. I’m going to stick with that prediction for Nashville because I believe that we are better positioned than most large cities in the United States to absorb these tax challenges and continue moving forward. If you have any questions or want to see where I got my information, hit reply and let me know how I can help. Otherwise, I’ll talk to you on Friday about the latest on Short Term Rental properties in Nashville. The Daily Deal in Nashville is this two bedroom cottage in Inglewood [East Nashville] that would make a good rental or first home and is listed for less than $225,000.